These published papers and presentations are based on research on the Kairos Alive! 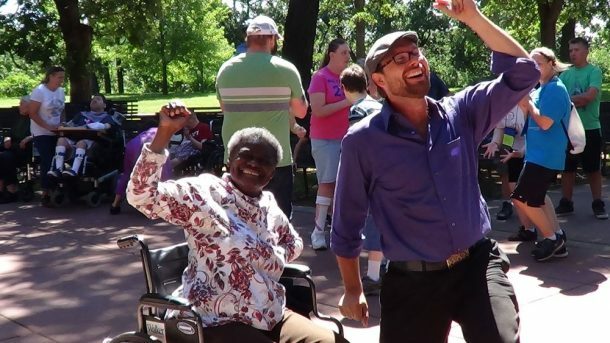 Dancing Heart™ with older adults in independent, assisted and long-term care living situations. Read “Dance Class Lifts Parkinson’s Patients’ Spirits”, an article about a collaboration between Rush University Medical Center and Hubbard Street Dance Chicago to bring dance to a group of Parkinson’s patients in Chicago, and an AARP Bulletin about the effects of dance on PD: People with Parkinson’s Discover the Joy of Dance. Enhancing Cognitive Fitness in Adults, a Springer Publication – The chapter titled “Coming Alive: Kairos Dance Theatre’s Dancing Heart™ – Vital Elders Moving in Community describes our program, The Dancing Heart™ – Vital Elders Moving in Community and the companion Memory Care Program. These programs were created in Minnesota in 2005, and are pioneering, national award-winning, evidence-based programs that are transforming the lives of elders, their families, and caregivers in long-term care, memory care, and other health and community settings. Creativity Matters: The Arts and Aging Toolkit (Includes Kairos Alive! programs) Designed for the arts and aging services fields, this resource explains why and how older adults benefit from participating in professionally conducted community arts programs and offers detailed advice and examples on program design, implementation, and evaluation – including Kairos Alive! programs. Developed in partnership with the National Center for Creative Aging and the New Jersey Performing Arts Center. Available online or order a printed copy.